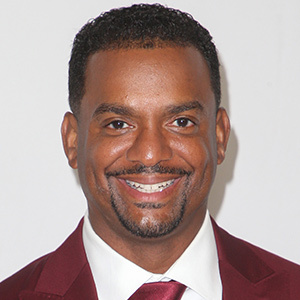 As the host of America's Funniest Home Videos on ABC TV, Alfonso Ribeiro has witnessed plenty of unintentional physical comedy…or, as he puts it in an interview with Dear Doctor–Dentistry & Oral Health magazine, "When people do stuff and you're like, 'Dude, you just hurt yourself for no reason!'" So when he had his own dental dilemma, Alfonso was determined not to let it turn onto an "epic fail." The television personality was in his thirties when a painful tooth infection flared up. Instead of ignoring the problem, he took care of it by visiting his dentist, who recommended a root canal procedure. "It's not like you wake up and go, 'Yay, I'm going to have my root canal today!'" he joked. "But once it's done, you couldn't be happier because the pain is gone and you're just smiling because you're no longer in pain!" Alfonso's experience echoes that of many other people. The root canal procedure is designed to save an infected tooth that otherwise would probably be lost. The infection may start when harmful bacteria from the mouth create a small hole (called a cavity) in the tooth's surface. If left untreated, the decay bacteria continue to eat away at the tooth's structure. Eventually, they can reach the soft pulp tissue, which extends through branching spaces deep inside the tooth called root canals. Once infection gets a foothold there, it's time for root canal treatment! In this procedure, the area is first numbed; next, a small hole is made in the tooth to give access to the pulp, which contains nerves and blood vessels. The diseased tissue is then carefully removed with tiny instruments, and the canals are disinfected to prevent bacteria from spreading. Finally, the tooth is sealed up to prevent re-infection. Following treatment, a crown (cap) is usually required to restore the tooth's full function and appearance. Root canal treatment sometimes gets a bad rap from people who are unfamiliar with it, or have come across misinformation on the internet. The truth is, a root canal doesn't cause pain: It relieves pain! The alternatives—having the tooth pulled or leaving the infection untreated—are often much worse. Having a tooth extracted and replaced can be costly and time consuming…yet a missing tooth that isn't replaced can cause problems for your oral health, nutrition and self-esteem. And an untreated infection doesn't just go away on its own—it continues to smolder in your body, potentially causing serious problems. So if you need a root canal, don't delay!